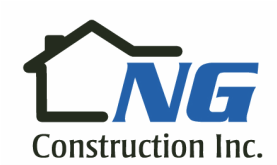 Whatever your needs, commercial or residential, if you demand timely estimates and scheduling, competitive bids and quality work, then demand NG Construction Inc., a family operated business, for your next home or office project. From concept and design, to permits and final construction, you can rely on NG Construction Inc. to deliver unsurpassed quality every step of the way. See what our customers have to say on YELP! "Nick was referred to us and thank god he was. From the first meeting to the last, he was professional, prompt, and his craftsmanship was perfect. He was clean, honest, and returned all calls immediately. He even had a key to our house, worked around the kids and dog, and never complained." "Nick did an excellent job putting laminate flooring, stairs, and stair trim in our home. The finished project was awesome and he is extremely professional! Thank you for a job well done! I would recommend him highly."